The biggest challenge that IT departments face in 2019 is keeping up with their ever-growing technology stack. SaaS management solution Torii goes a long way toward helping IT managers consolidate and centralize SaaS ecosystems. You likely have hundreds of SaaS applications in your business ecosystem. Therefore, it’s hard to track costs, risks, access permissions, usage, and overall practicality. And IT departments often don’t even know when someone has registered the company for a new web app. How are you to remain in control? Put simply, Torii is an autonomous IT platform. It turns a company’s cloud-based software stack into a readable, user-friendly dashboard for more effective SaaS management. Moreover, it improves your SaaS management on three fronts: visibility, workflow, and automation. 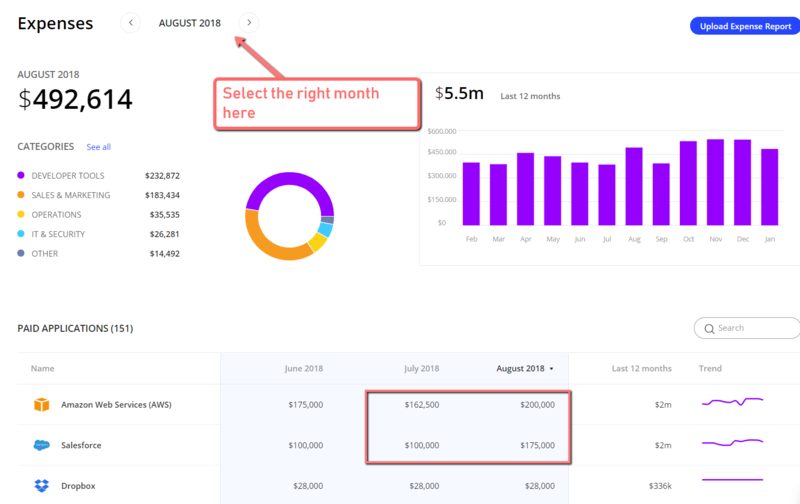 Stay on top of your company’s SaaS management with a robust dashboard. Turn numbers into actionable insights with easy-to-read visualizations and reports. 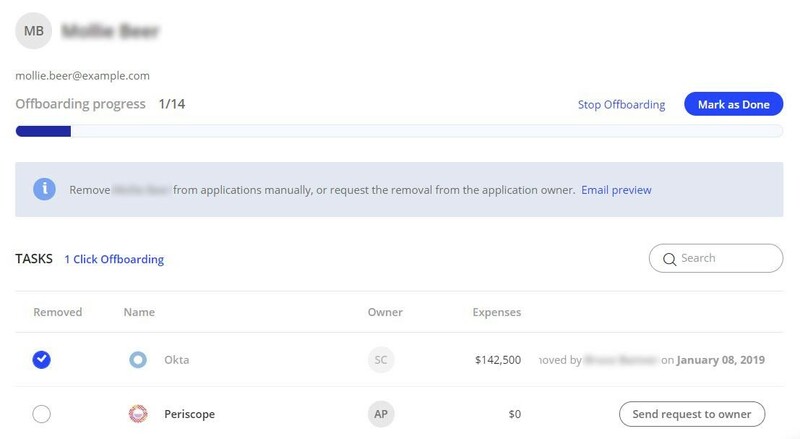 Did two team members just pay for licenses for competing tools that do the same thing? Did someone leave your company, and you need to make sure they can’t access any information relating to the business? Understand how your team uses your applications. Additionally, manage your software subscriptions and control which tools specific members can access. Need certain SaaS management actions to take place instantly? Simply deploy the integrated bots. Automate tasks like renewals, downgrades, upgrades, and access changes. You’ll do this by combining relevant triggers with a list of supported actions. Here’s a closer look at Torii’s main SaaS management features. One of Torii’s primary goals is to make sure you don’t overspend on unnecessary software. 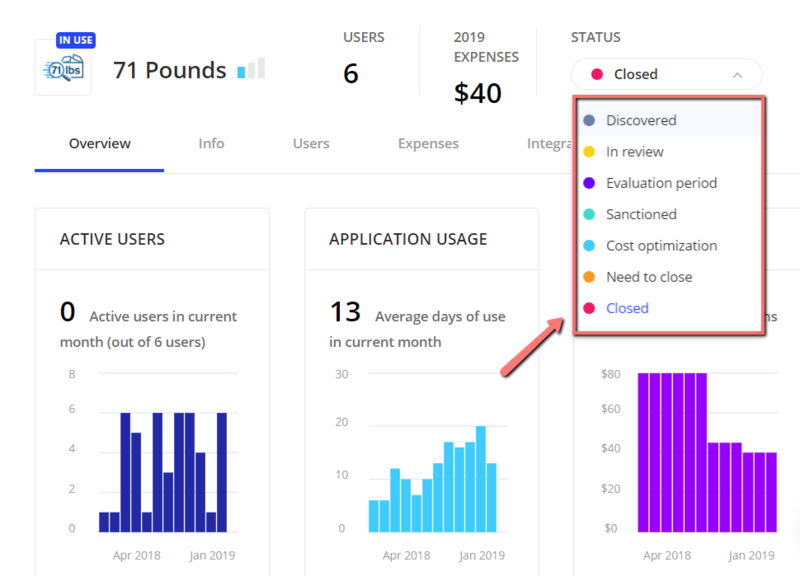 On the “Insights” page, Torii shows you an overview of your entire software library. This includes the total number of users, applications, and expenses over the last 12 months. Doing so will allow you to assimilate the finer details of your infrastructure’s SaaS usage. For instance, you’ll be able to see user accounts and the total cost of each app. Under the “Usage” tab, you can gauge the importance of each tool. This metric is based on the number of times the tool was utilized in the past 30 days. You’ll also be able to determine whether employees are still using an application. For more in-depth information, click on the application’s name. 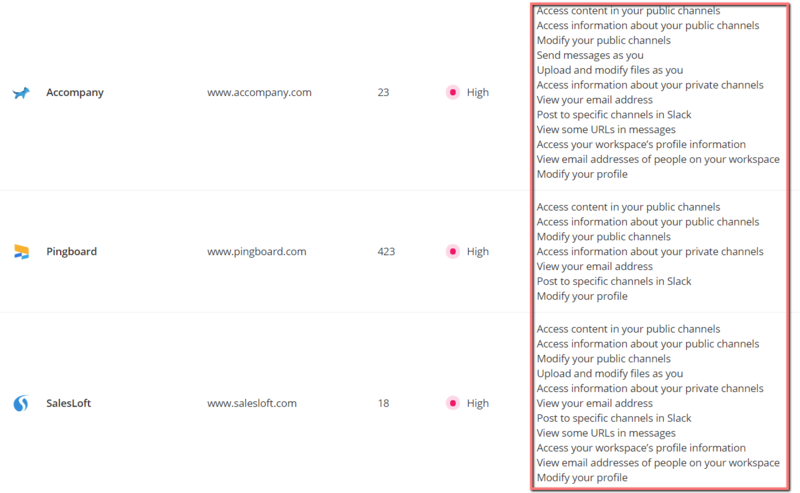 You’ll then see details such as the number of active users, renewal date, and more. You can also change the application’s status on the spot. Do this by using the drop-down menu in the upper-right corner of the page. Today’s business app users increasingly make tool selection decisions independently and unilaterally. Therefore, IT can no longer take full ownership of the tech solutions under its purview. 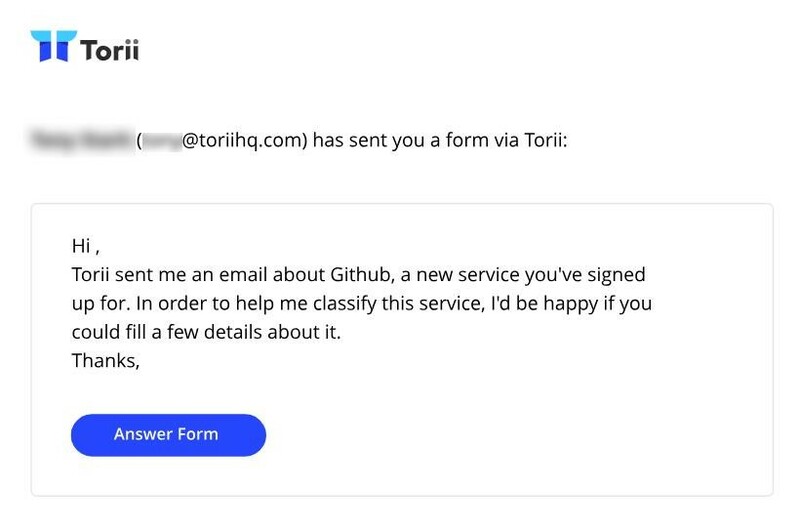 However, Torii works by identifying every software product’s in-house “owner.” This team member will be IT’s point of contact when it comes to all decisions and activity regarding the product’s use. Knowing the owner of every application your organization subscribes to can help you to understand how it fits into your organization. Torii comes with a built-in workflow builder. This helps IT managers understand everything that occurs in the company’s software stack. The most common use of workflows is to discover apps as soon as they’re added. This makes you a better software gatekeeper, as it allows you to keep a watchful eye on any new cloud-based app. Once discovered, IT managers have the ability to set the software’s status. For example, it could be “discovered,” “in review,” “sanctioned,” and so on. 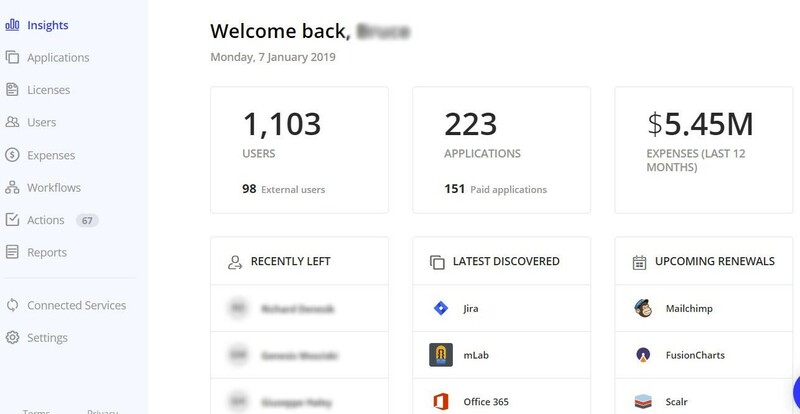 In turn, the app’s owner receives a notification that the IT department has discovered a new application. The app owner also gets a form to fill out to get IT’s approval. 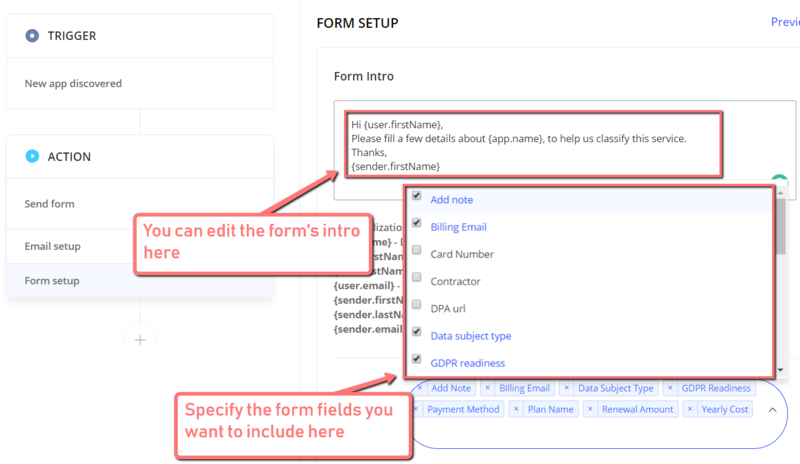 You can customize this form by editing the introduction. You can also specify the information fields that the app’s owner must complete. This should prompt the staff to carefully vet whatever software they want to integrate into the company’s IT infrastructure. Remember, it’s a lot easier to monitor apps as soon as someone adds them. Given the risks of GDPR noncompliance and cyber breaches, waiting till later is a risk that IT departments simply cannot take. Additionally, these procedures provide a way to minimize the costs of inefficient and unnecessary software. These are just the basics of effective SaaS management. The rest of the steps involve selecting the workflow’s trigger and adding a string of actions to be performed. Torii’s user-friendly interface makes this a quick process. What’s more, you won’t need to write a single line of code. Lastly, it’s worth noting that Torii enables automated “offboarding” workflows. These are designed to revoke a user’s access to apps they no longer use. Torii triggers this workflow when a user has not used a specific app for more than 30 days. This saves the business money by preventing payments for unused seats of employees who, for example, no longer work in the organization. SaaS management in a software ecosystem with hundreds or even thousands of apps comes with cybersecurity, governance, and compliance risks. Torii makes sure you have all your bases covered with the Risk Analysis report. This gives you an assessment of each third-party application’s risk level based on their permissions. You can comb through Torii’s Expense Analysis report to identify your most expensive software investments. Of course, just because an app is the most expensive doesn’t necessarily mean it’s the most wasteful. But if you’re trying to cut costs, inspecting the utility of your expensive tools from top to bottom is definitely a sound approach. Whenever needed, IT managers can easily download a CSV file for the expense analysis report. Utilizing this feature will ensure that your IT team and your finance department are on the same page. Take note that almost every section of Torii has a “Download CSV” button in the same spot. This makes it easier for your IT department to communicate crucial information, both within the department as well as throughout the organization. Speaking of owners, each user could be associated with an indefinite number of applications on the Torii platform. This goes for app access and use as well as ownership. You can easily view which user owns which apps by looking at the app icons under the “Owner of” column. If you wish to cancel a user’s ownership of certain apps, you can request their voluntary withdrawal. Alternatively, you can forcefully remove app ownership with the one-click offboarding tool. Torii also keeps a complete record of every user who has ever become a part of your IT ecosystem. These user accounts are sorted into three tabs: current users, past users, and external users. To view the financial side of your software infrastructure, simply go to the “Expenses” page. This will show you a complete view of your company’s expenses. If you’re using an ERP such as NetSuite, Torii will automatically pull all your business’s SaaS costs. This it does by analyzing invoices, transactions, and credit card statements via API integrations. The expense analysis report shows how much you spend on each app per month. Then the Expenses page gives you a broader overview of your software budget. Does Your Company Need a Manual Integration Option? For businesses that don’t have an ERP solution that Torii can integrate with, the platform offers a manual integration option. Click on the “Upload Expense Report” button on the top right. Torii will provide you with a downloadable template that ensures readability. The platform will automatically match the expenses in the file to the SaaS applications. Then it will present the expenses report as seen above. The bar graph shows total expenses for software over the past 12 months. This enables you to identify months with unusual spikes in terms of software costs. 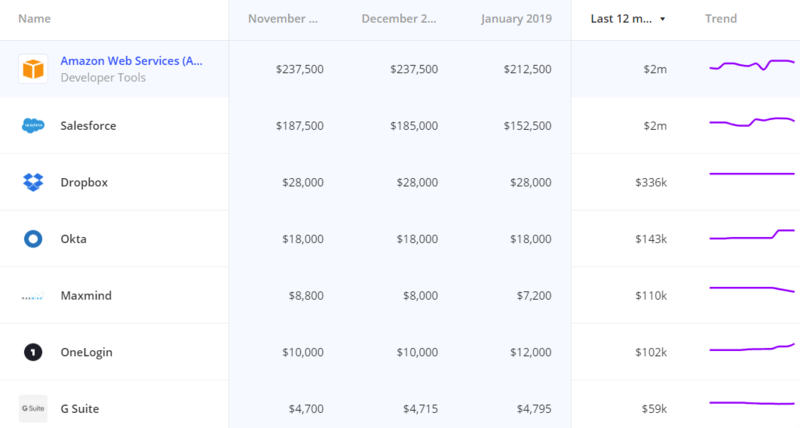 The screenshot above shows an example of a spike in expenses from September to October, which appear to also relate to November and December. You can dig deeper by viewing the report for September when the spike occurred and see what caused it. This should help you identify the apps that might have contributed to the increase. To find more apps that could have contributed to the increase in software spending, Torii also has a handy “Trend” feature. This feature shows how much each individual application costs over time. It comes in the form of a line chart that makes it easy to spot applications that are becoming costlier. Finally, Torii lets you integrate the various applications your organization is using. This allows you to weave together multiple applications. 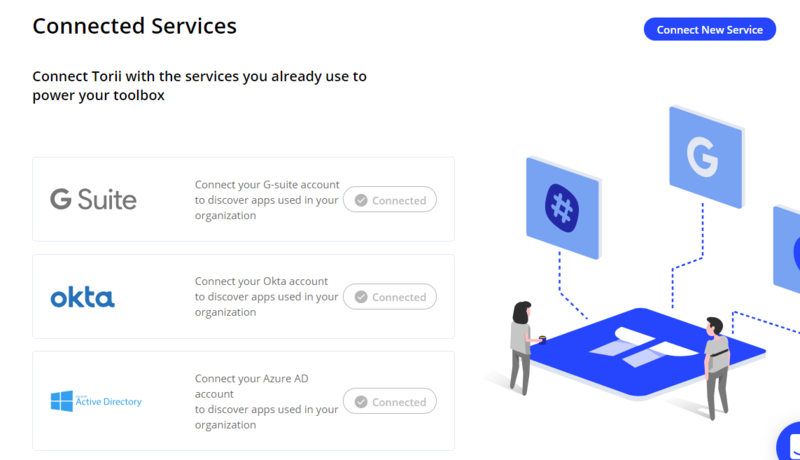 By creating more connections between different software via their API, you can create a SaaS infrastructure that communicates better with itself. This process will allow you to further streamline your SaaS infrastructure. 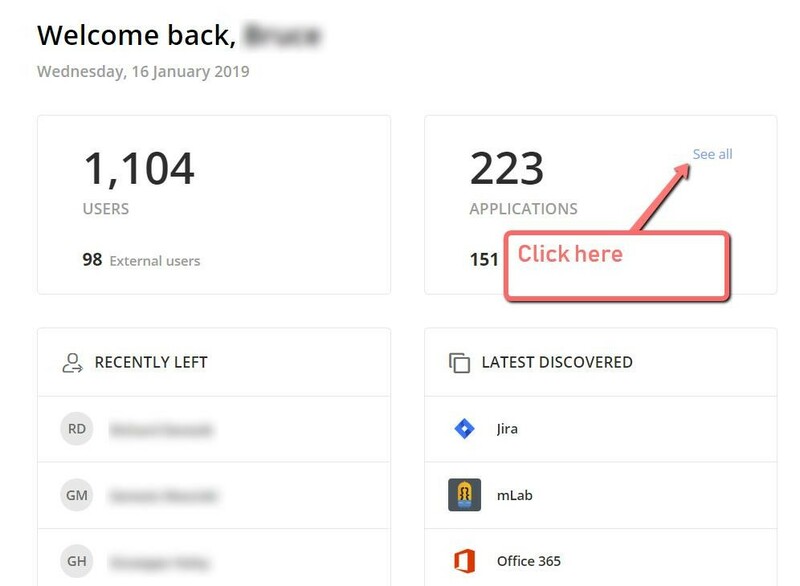 For example, Zapier is an automation service that integrates with hundreds of other SaaS products. If your organization is using Zapier, Torii lets you configure and utilize these automation integrations from within Torii’s platform. As it stands, Torii supports thousands of different services in its database. This yields countless possible application pairs you can use for automated tasks. For expandability, you can also integrate Torii with a number of third-party services. These include cloud-based productivity platforms like G Suite as well as CRM software like Salesforce. As your software infrastructure grows and evolves, so must your IT management. 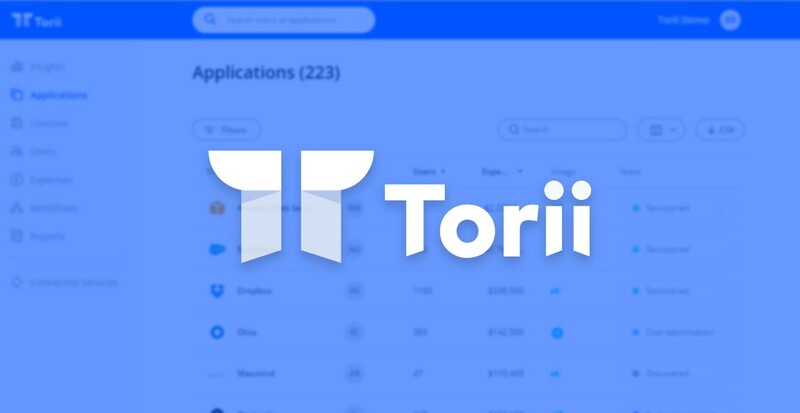 Torii has everything you need to get a better grip on your company’s SaaS management. It allows you to identify who’s using what. It shows you which apps have access to which systems. Torii also makes it easier to plan your software budget, automate software onboarding and offboarding, and more. Overall, Torii is a smart investment for any company that has a large collection of software.